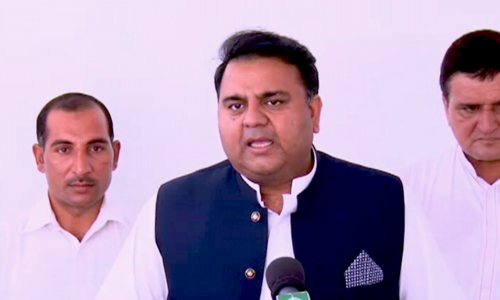 Prime Minister Imran Khan has asked that the media give his government three months before criticising its performance, DawnNewsTV reported on Friday. 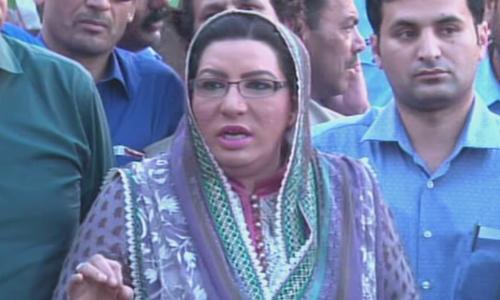 The statement was made during a meeting with journalists in Islamabad. The PM promised that three months down the road, there will be a marked difference in the way the country is run. He also mentioned that none of his cabinet members was appointed permanently and could be shuffled around on the basis of performance. According to Geo.tv, PM Khan, responding to a question, said that while Pakistan cannot fight the US and looks to improve ties with Washington, the government will not give in to any unjust demands made by the White House. He mentioned that Pakistan seeks peaceful relations with India, Afghanistan and Iran as well. 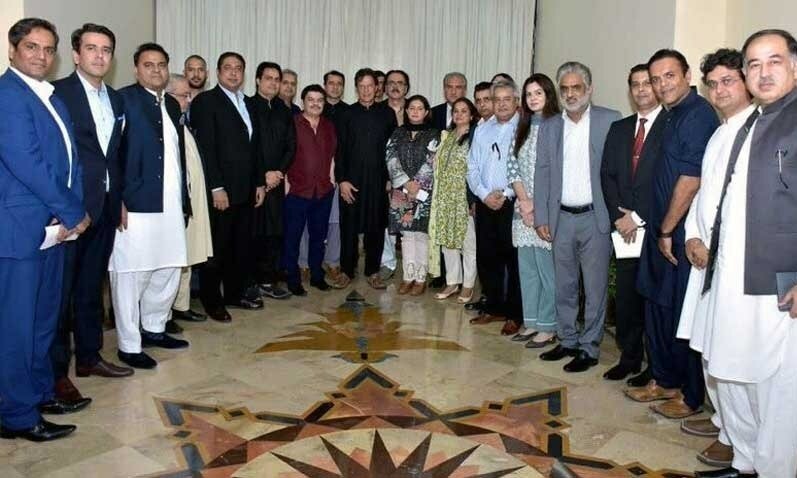 According to DawnNewsTV, PM Khan also told journalists that he has directed the chairman of the National Accountability Bureau to continue an indiscriminate accountability process in the country. He added that if any member of the government is suspected of any indiscretion, they should also be held accountable. The prime minister also pointed out that Pakistan's circular debts stands at Rs1.2 trillion and that progress would not be possible without across-the-board accountability. 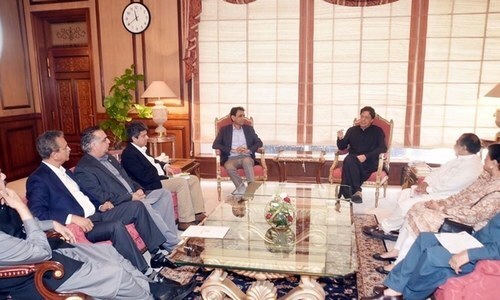 During the meeting, PM Khan was also asked about his usage of a helicopter for travel to and from Banigala, which he defended as a way of saving citizens from the trouble of traffic holdups. What's the problem? Media can continue to do it's duty and report facts, while the new government should do theirs. A very fair request, though talk shows and TV channels have to make a living. It would be wonderful if there was more light hearted entertainment programs and fewer religious and political programs. Healthy and constructive criticism should be welcome and not gagged, it serves as a watchdog and gives the opportunity to the government to give ears to a different point of view, and make amends wherever necessary. This is how democracies work and no time bar should be imposed. You have let the people down and failed miserably! All talk and nothing else. Don't worry about the media they are over eager to report as the competition is fierce the masses are believing the good things carry on with your good work PM. Media and opposition cant digest this. They would rather discuss these petty issues than the bigger issues. No Change in the last 20 years and suddenly people want change over night. That's a fair demand especially when the inheritance of the mess is beyond description. No need to ask any favor from the media. you have to do what is needed regardless of how appears to be. The tradition of governing through the media should stop at some point. You can have your 3 months Mr President. He had better answers, First President who reports to its people and listens to them. Live Long & Prosper Pakistan. Very reasonable answers by the PM. Hope that all promises get fulfilled eventually. No one is questioning your simplicity and the drive to change things for the better. 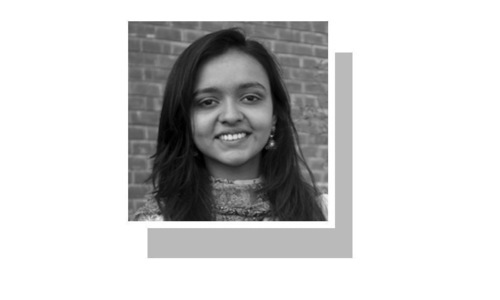 However, a newly elected government with such a strong mandate could and should have done something to demonstrate their strong desire to bring about a change. We can all make excuses and promises. Why ask for any time? Keep doing the right things regardless how painful and difficult they appear. The mess that was created over decades is not going to be cleaned up in 3 months. It is your wishful thinking. Please do the right things and make the tough decisions as unpopular they may seem. Mr. Khan your job is to put the country on the right path, let the out come take care of itself. Don't try to be a messiah, just a remain human. "Pakistan cannot fight the US". He didn't know that when he was in opposition protesting? Did he give the previous government 3 months before he started protesting? 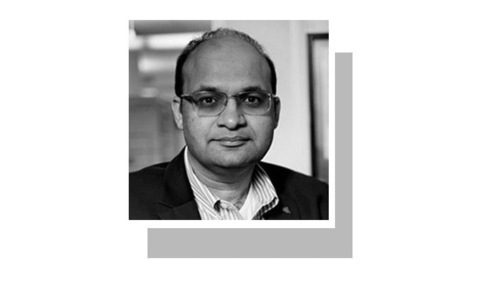 The governance starts from the day PM and his party holds the reigns of the government, therefore, the scrutiny of the governance should also start that time as well. However, the media should be reasonable in its expectation of good governance. Did he give 3 months to Nawaz. He has a point. At the same time nothing should stop institutions to continue doing their accountability processes whether financial or socio-moral. We can wait until forming an opinion about the Government but incidences like MPAs beating citizens, self-appointed important people taking law in their hands and making a mockery of institutions as seemed to have happened in Pakpattan, Ministers pushing women, MNAs driving luxury vehicles without number plates must not remain deferred and relevant authorities must act and in fact prove during this 3 month period that the Government is serious about bringing about a behavioral change in the system. Good luck to the Prime Minister who needs to beware of discolored elements who have found way into the party and coalition. I agree he should get 100 days before being criticized.But some of his decisions like helicopter or cm punjab selection is just not acceptable. It seems IK has started to feel the heat very soon! One more thing to add in my pervious comment is that on the contrary PTI fans are running a social media campaign to target journalist and people commenting against some of his government decisions. He should also ask his fans to to cool down and his ministers not to try to prove that helicopter is cheaper than a car. 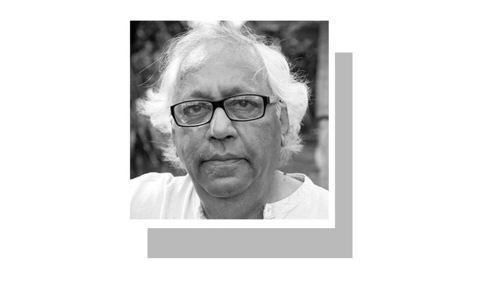 How would PTI government know if people do not identify contradictions in its policies? Engineers are waiting for jobs, Please when the jobs will be announced for Engineers. Did you give Nawaz even 1 day? Good and genuine request. Media should obey the PM. After all within 15 days he accomplished main thing for which he was voted for, competition cancelled by Holand. Excellent! Hope media and critics do give him this time to show. Three months is a very short time and if he does not show any results Media and Critics will have a right to say bad things. Lets make Pakistan GREAT! Person who made a living out of criticizing others does not like criticism. Colour me surprised. I am doubtful if there would be any worthwhile difference in three months. It is not a question of Imran Khan's intentions. It is a question of translating those intentions into implementation. What about the implementing agents? There are scores of other questions. Problem is not with opposition problem is PTI supporters and officials who cannot stop from blowing their trumpet 24/7. If they quite down and go easy on the optics the critics will sotten out too. From what we can see till now - Imran Khan may well be a good man, but actions matter more than words. His appointments in Punjab are simply horrifying starting with CM and below. You cannot blame everything on political expediency... that is NOT leadership. So media should continue its role of exposing lies and telling people the truth, and making everyone accountable. Be it Imran Khan, the media itself or anyone else. You cannot expect one man to reinvent Pakistan into a better society... It will have to be a collective effort. Why is he asking media for 3 months! Media is paid to criticize! Imran Khan should focus on building foundation of our country so that no media, no corrupt politician can break the country and put us on dire stage that we are in right now! Pakistan has all kind of resources, if only politicians haven't plundered the country we would have been a developed nation today! Give him not 3 months but 6 months before criticising him. In his first speech to the nation, he laid down the facts with regard to the economy. I don't think he can bring economy on the right track in 3 months. Problem is, habitually we are short of patience, before criticizing him, we should look at ourselves, how honest we are in dealing with others. By the way, the statements he made is very good. He has spoken very precisely. By the way, the statements he made is very appreciated. Give Imran Khan and his team time to prove their credentials and don't compare apples with pears! And, don't forget the country is financially in mess created by Nawaz Sharif and his corrupt cronies - it will take careful planning, time and resources to tackle our current problems. IK doesn't have magic wand! I fully agree with your request. You should be given at least six months. Name any single dept which is performing well and the Mafia is working in the name of Department. Seems pretty reasonable to at least give PM three months. Media has been criticising PTI like they've already completed their five-year term and are now just starting the second term. You’re the one who made the promises to Pakistanis. Why should you or anyone get a pass on news media criticism? Are you also asking news media not to praise you for three months, or do you already know that won’t happen? You could always take a page out of Erdogan’s book and ban any criticism, since you seem to be a supporter. It is what it is 3 mo or 3 years it won’t make any difference the obstacles are immovable he inherited an impossible mess and from now on will get blamed for everything the previous administration created this mess and bailed out. Halicopter fuel cost.... 100LL fuel, which the helicopter burns, costs anywhere from $4.50 to $7.00 per gallon. per Gallon which equals to 2.5 Liters. seems like its Around 50 to 55 Rupees per KM. Second give Imran some time before pointing at him. Yes, it's fair that the media should give the new admin space and some time. To function as PM, security concerns, meeting Foreign leaders, please move to PM house. You can cut expenses in millions. Pass a law, PM house will only have 50 helpers, 4 cars. Give the media perks and they will only post in your favour. Media should support IK and start taking stock after 1 year not 3 months. stop making his use of helicopter an issue, he is the PM of a country! This is the least of facilities he should be entitled to. An absolutely reasonable request, it's only been 2 weeks and the media is going after the new government like rapid hungry animals. Seriously, give them some time to adjust and sort things out. No one likes the bullies picking on the new kid on his/her first week of school. Media was never friedly to PPP. It was .not fully friendly to Nawaz after Panama leaks. Khan is right in asking for favour becuase Pakistan due to ethnicity reĺigiosity economy and institutional incompetence is in big trouble.. It takes time to understand problems. Solving them is a matter fot decades.Let us support Khan also as witness to a new experiment . Never ask for conceltions. You need to play at the front-foot. Media should stop petty problem, my question is that Media has high lighted any public problem, NO, just warming up, their talk shows, please be nice and cool, give him time for 3 months. and high light general public corruption, land mafia, china cutting, recover of debt not paid by MNA, MPA and rest of Sharif / Zaridari family. How many months or days did you give PMLN before you started complaining? Khan is the best thing happened after 1947. Please get used to criticism because you are in politics and are now the prime minister of Pakistan. Remember no one is perfect and will have challenges to overcome. We are positive you will succeed and make this a naya pakistan. People of Pakistan are counting on you. let’s not be over aggressive in your commitment you should have asked at least one year it takes time to bring about changes especially when we are facing massive domestic challenges focus on education health and corruption. A person with honest intentions will never be permitted to function. 3 months or even 300 months will not be sufficient if vested interests are harmed. 3 months is what Imran is asking for. Did the previous governments of Nawaz, Zardari or Benazir or any other government ask the media for time. Being nice doesn't mean one should take advantage of him. It's not even 2 weeks that PTI and Imran have started work and the media and his enemies have started to find faults and pointing out at loop holes. Remember Imran is after all a human and humans err once in a while. If you want to forget the slaves that we were of the British and later on of our own leaders then give some space to Imran so that he can do good for our beloved Pakistan. I'm sure he will succeed in the end. This is the very good approach by any good leader. PM has paramount task. Of course it will take atleast 3 months to settle down understand the process and having control over the system. Hope this 5 years are going to be the golden period of Pakistan. And there may be many bench marks set for the future of the country. We Indians wish to see the prosperous peaceful and brotherly Pakistan. 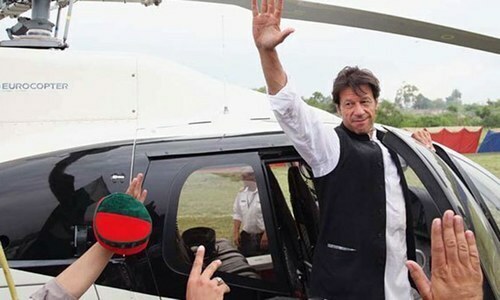 "During the meeting, PM Khan was also asked about his usage of a helicopter for travel to and from Banigala, which he defended as a way of saving citizens from the trouble of traffic holdups" Traffic holdups?? But as stated thousands of times by IK, Netherlands PM moves around on a bicycle. Has he changed his idols and ideals?? Dear pakistan have you heard the name kejriwal.Imran will be new kwjriwal of pakistan. I don't think our media, or for that matter any media can do that. IK has made a good effort to appease them but over 50% of our talk shows are aimed at finding faults with the government; How can they "NOT" criticize! A fair demand by any standards. @khan Previous Govt was not the first timers ! Even if, even if he remains unable to fulfill his promises what can media do. Media is not an accountability court. What had it done in past with the previous leaders. Just to quote one example, Shahbaz Sharif claimed before 2013elections that electricity problem would be finished within six months, what happened. They claimed we would bring back looted money ( possibly referring Swiss case) Did they do that. So, where was media about that. Unfortunately, some of the media people work for their lotds and they do not show neutrality which is their obligation.